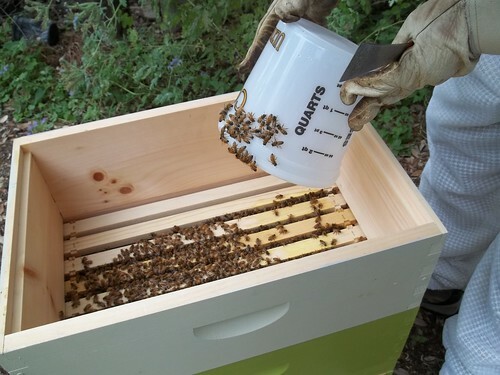 Rosemary did much better with the top hive feeder after last week’s disaster with the Collins Feeder. 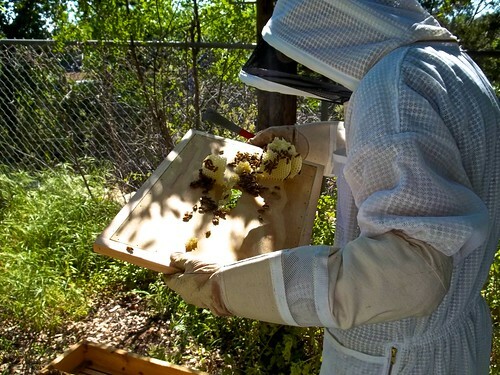 When I opened up her hive on Sunday, there was only one little piece of comb. 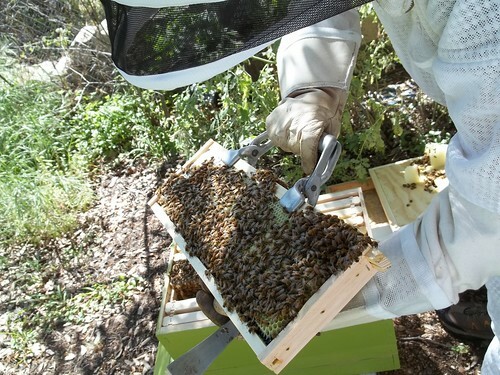 After last week’s setback, I was pleased to see 4 full frames of drawn out comb. 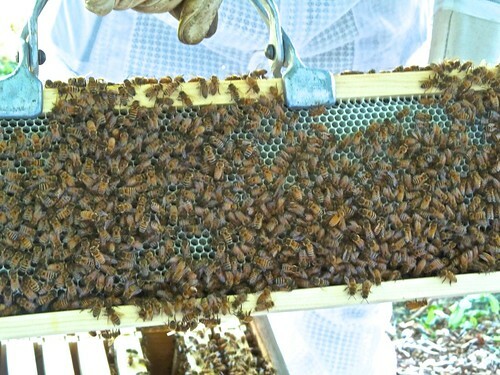 This hive had also drawn out frames 1-4 which I’ve never seen before. 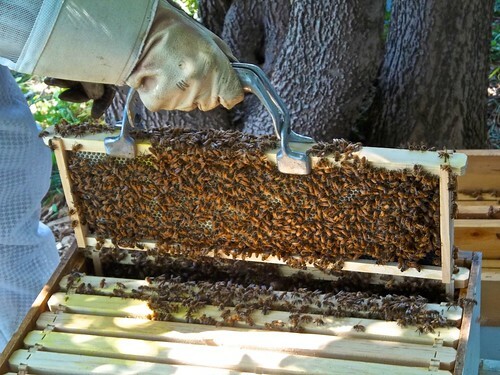 Usually bees will work up from the middle and getting the frames in position 1 and 8 drawn out can be difficult. I hope they continue this good behavior and draw out frames 5-8 this week. My fears of killing Rosemary were also unfounded as these frames were full of eggs and larvae. This hive is back on track. 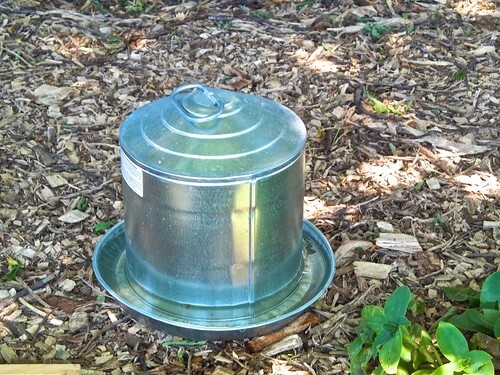 I also had to refill the chicken waterer I’m using as a water source for the bees. 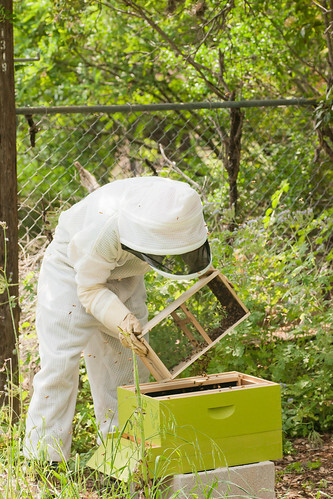 I really doubt Rosemary’s hive used all this water so something tells me other creatures may be using it. Switching feeders was definitely the way to go. Either that or Rosemary heard she got some negative press last week and was doing her best to impress. 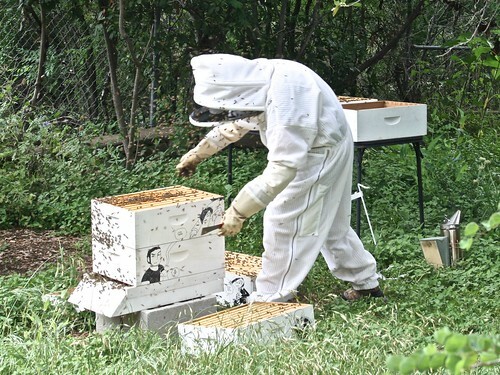 It was the best of hives, it was the worst of hives. Today’s inspections of Queens Rosemary and Rue were on completely different ends of the spectrum. 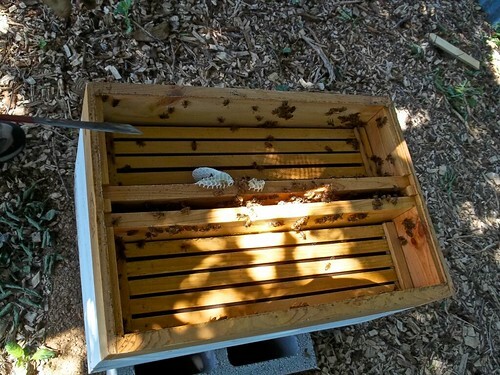 As I previously mentioned, I switched over to pail feeders in an attempt to reduce small hive beetles and make it easier on myself to add syrup when needed. 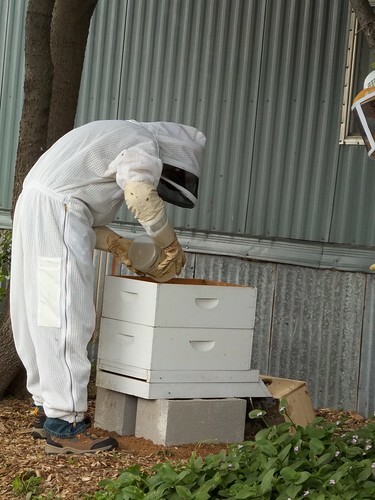 My first stop was at Sunshine Community Gardens to check on Queen Rosemary to verify her release and see how the girls were taking to their new home. I know something was wrong as I started to take off the inner cover. 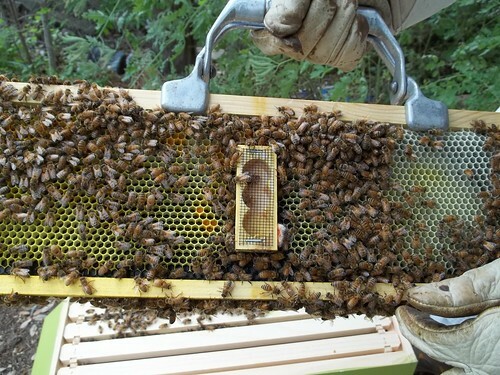 The girls decided to build comb from the top of the inner cover around the feeder instead of on the frames. This is what I had to deal with today. 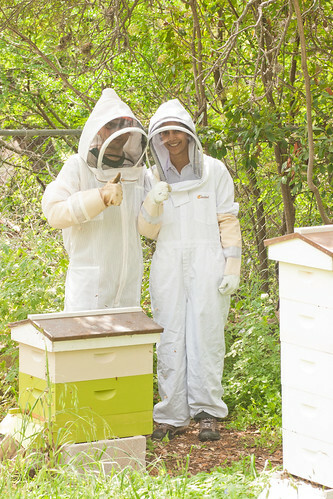 I was forced to remove all this wax and get the bees into the super with the frames. 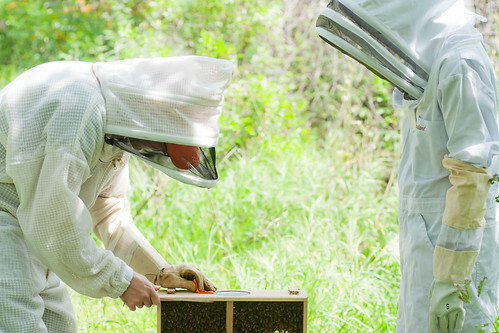 I also never saw Rosemary so I can only hope she is still in there even though I feel like Gitanjali and I looked at every single bee inside and outside the hive. 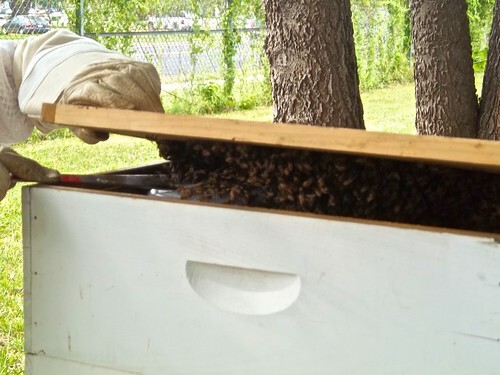 I ran home and got my old top hive feeder so I could feed the bees without having a repeat of the same situation. 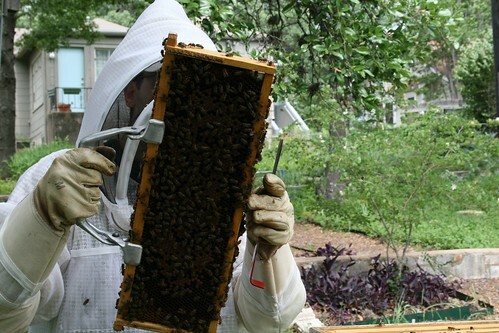 It stinks that I lost a week of comb building, but hopefully I got this hive back on track. 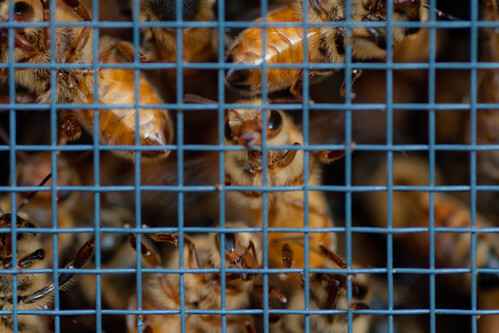 As I was driving down to Baab-Brock Farms, I was anticipating the exact same situation with Queen Rue and was dreading opening her hive. 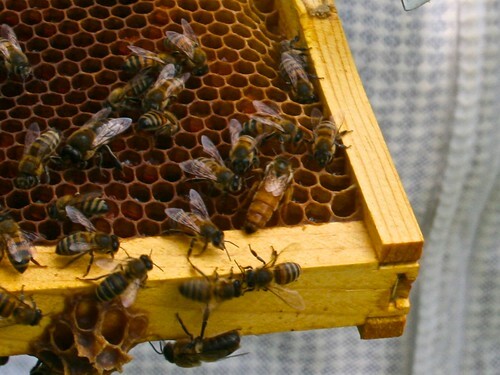 Luckily, Rue is awesome and they actually built comb on the frames like good little bees. Our cheering startled the chickens in the coop it was so loud. 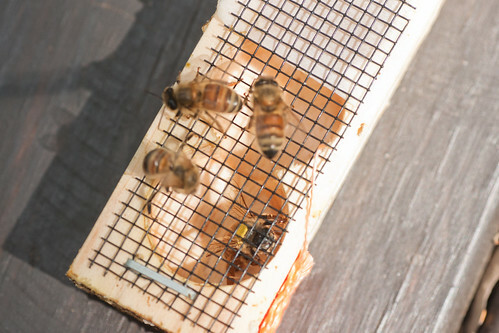 Here is a shot of nice drawn out comb with eggs and an empty queen cage. 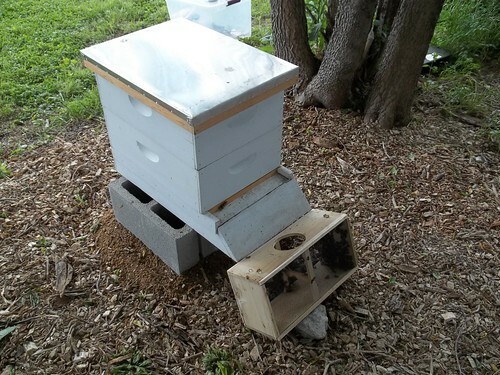 Even though I didn’t have errant comb issues on this hive, I still switched over to the old top hive feeder. I didn’t want to tempt fate and end up dealing with another mess. I know you aren’t supposed to play favorites, but Rue gets my vote this week. 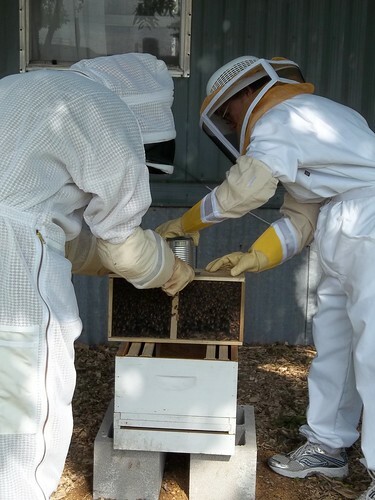 Saturday morning I picked up two packages from BeeWeaver with my first stop being a hive installation at Sunshine Community Gardens. Here is the package sitting on top of their new home. 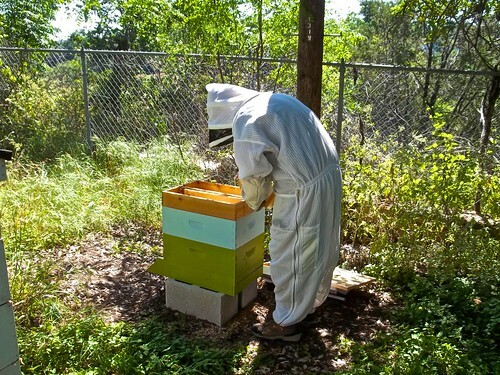 Jean has a plot at the garden and is also interested in beekeeping. She met me at the garden to assist in the installation. 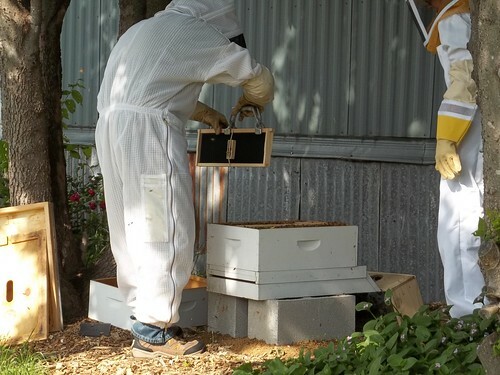 Here we are performing the hardest part of a package installation – getting the syrup can out of the package. 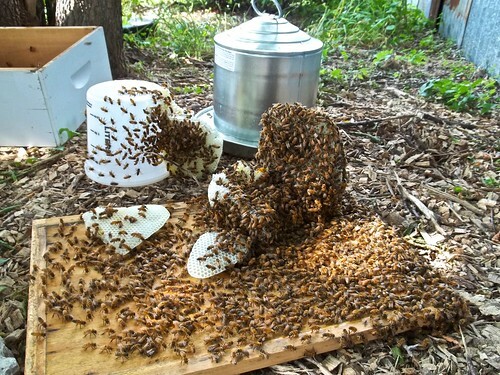 After removing the syrup can and the queen cage, the bees got dumped into the hive. 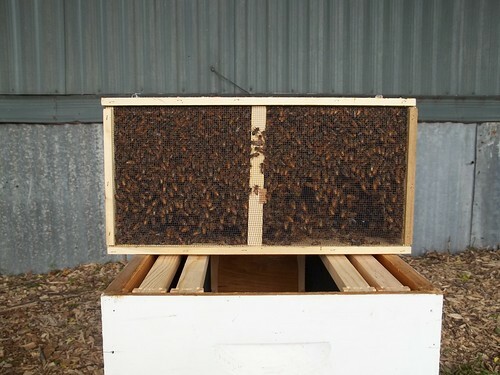 Once the bees were in, I added the frames to the hive including one with the queen cage attached. I then added some syrup for them to jump start the wax producing. I decided to go with pail feeders this year. 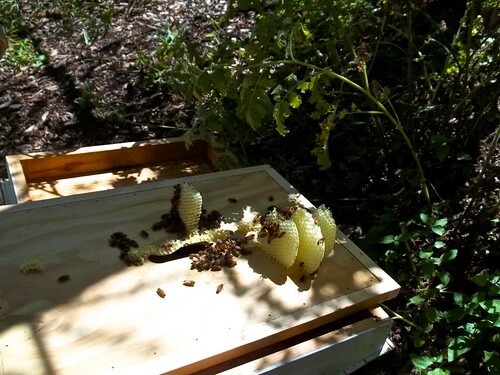 While I liked my hive top feeder and had good success with them, so did Small Hive Beetles. 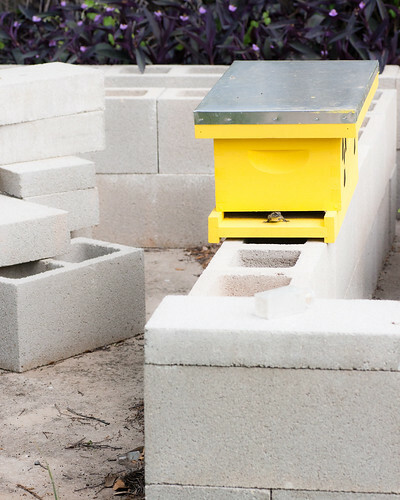 Here is the hive all closed up and ready to start pollinating the gardens. I hope Queen Rosemary will have a successful year.